Today, the award-winning designer reveals his start-to-finish process for creating an incredible book cover in his first online class: Read, Think, Design: Create Stunning Book Covers. In just one hour, students will learn tips for visualizing ideas, tactics for reading as a designer, and how to balance reader/author/publisher goals. While we filmed his class, Mendelsund shared his thoughts on what keeps him motivated, lifelong learning, and the one book he thinks everyone should read. What keeps you motivated and inspired? PM: The things that inspire me are the incredible work of designers and artists. I just enjoy looking at the landscape of design and seeing all the incredible work that’s being done by designers old and young. Why is lifelong learning important to you? PM: Lifelong learning is crucial. I had been one thing for most of my life [ed. note: a musician] and changed very late to a new career. I’m extremely aware of the twists and turns that life can take, and I think the key is really to maintain an open mind over a long period of time. Life is long: be open to the changes that present themselves to you. What is the next skill that you want to learn?PM: I would love to learn to speak German. Name one book you think everyone should read. PM: I think everyone should read Ulyssesby James Joyce, for a couple of reasons. One is that reading that book is hard, and it really teaches you to be a good reader. You have to keep track of all kinds of things, you have to take notes, you have to read ancillary literature to know what’s going on. Two, it’s brilliant. It’s a brilliant piece of poetry, and it’s a brilliant piece of humanity. And three, it encourages empathy by virtue of the fact that you inhabit these three central characters. You really live with them through that one day. If you could give your younger self one piece of advice, what would it be? PM: Enjoy yourself more. 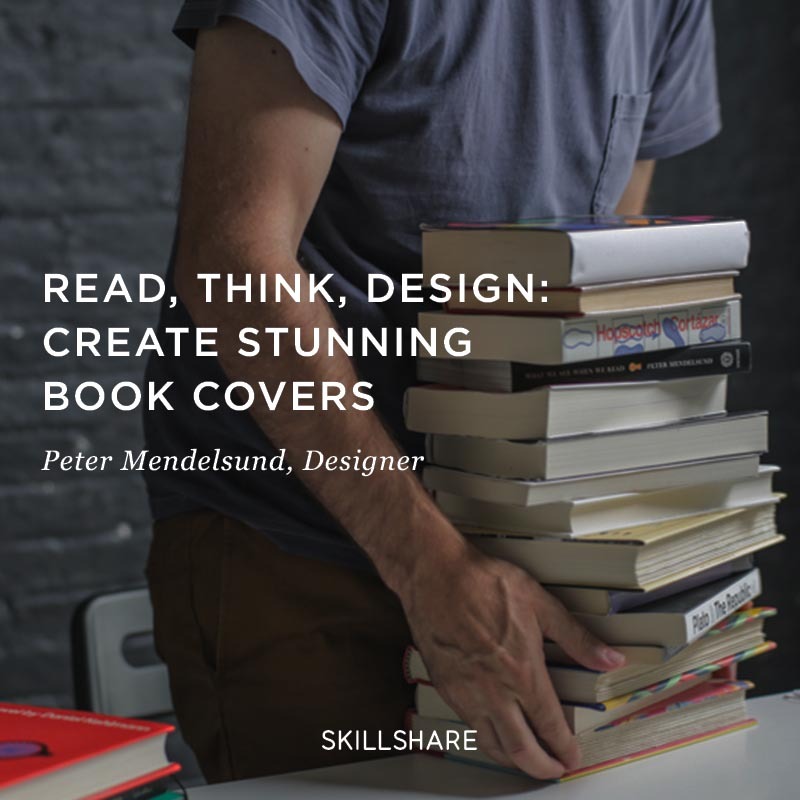 Take your creativity to the next level and design a captivating book cover with Peter Mendelsund in Read, Think, Design: Create Stunning Book Covers.